Are you considering leasing a new Mazda vehicle? Are you not sure whether an auto lease is right for your situation? Let the auto financing professionals at Oxmoor Mazda near Jeffersonville, KY answer all your questions! A Mazda auto lease allows you to enjoy all the benefits of car ownership without having to absorb any of the additional costs. When you choose an auto lease, your monthly payments are typically lower than with an auto loan and you will only have to pay the tax on a portion of the value of the car instead of the full value, saving you money. 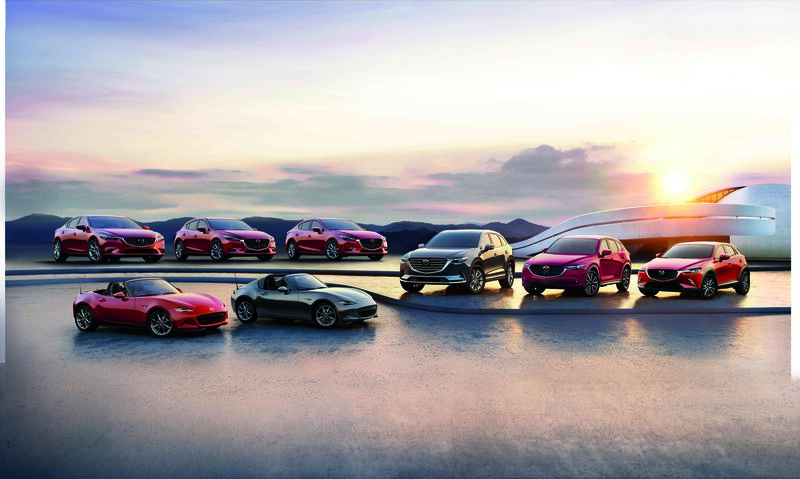 Additionally, an auto lease provides you flexibility to switch which Mazda model you drive at the end of each auto lease term, which allows you to drive a number of different Mazda models throughout the years! For more information about how to lease a new Mazda from Oxmoor Mazda, come by our Mazda showroom and we will take care of you today. When you’re looking for a Mazda auto lease in the Jeffersonville, KY area, you have a wide range of model choices. The Mazda CX-9 is the ultimate in performance, and you will love its sporty grill, cargo space, and handling. For something a little cozier, a Mazda MX-5 Miata roadster is just the thing and a short term lease means you can bring it back in a few years to get a new color! If you want functionality over speed, try out the Mazda3 hatchback for your commute and weekend adventures. No matter what you choose, the team at Oxmoor Mazda will work with you to find an auto lease for the model you like with terms that suit your budget and lifestyle. At Oxmoor Mazda near Jeffersonville, KY we offer a wide range of car financing programs, so stop by to learn more about our special auto financing and car loan options offered in addition to our auto leases. We will help you figure out whether an auto lease or auto loan is the best choice for your circumstances, so give us a call or stop by the showroom today to learn more.